Municipal Bond Funds - Are They Right for You? Municipal Bond Funds – Are They Right for You? They hold bonds that are considered extremely safe. They offer major tax benefits. Because of these two reasons, many wealthy investors in the top tax bracket choose to have 100% of their investments in municipal bonds. There are a number of investment choices for those investing municipal bond funds. Here is a list of the municipal bond funds we rate here at Learn Bonds, and a more detailed explanation of municipal bond funds below the table. For more on our rating criteria go here. See all the funds we rate here. As their title suggests National Municipal Bond funds invest in municipal bond issues from all over the country. Income from national municipal bond funds is free from Federal Taxes, but not state and local taxes. People invest in national municipal bond funds because they want the added diversification benefits of a fund that holds bonds from more than one state, and they are not concerned with state and local income taxes. Generally investors in national municipal bond funds reside in states that either have very low or no state and local income tax. State municipal bond funds invest only in municipal bonds from a specific state. If you live in the state where the fund invests, then income from state municipal bond funds is free from Federal, State, and Local income taxes. State municipal bond funds are for those that are willing to give up the added diversification benefits of a national fund, in return for income that is free from state and local taxes, in addition to federal taxes. They are designed for individuals who live in states and/or cities with high tax rates. Not all municipal bond funds invest in bonds that are free from the Alternative Minimum Tax (AMT). If you are subject to AMT and want the fund you are investing in to provide income that is free from AMT, then make sure you are either investing in an AMT free fund or one that has very little exposure to bonds which are not AMT free. 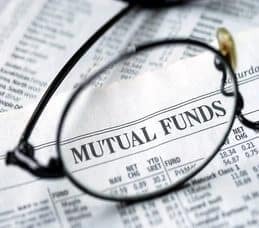 Municipal Bond Funds which are free from AMT will often have “AMT Free” in the name of the fund, and this information can be found in the fund’s prospectus as well. There are three distinct average maturity ranges for municipal bond funds, which is a measure of how long the bonds the fund holds have until maturity. Short Term: Invest in bonds with a maturity of less than 5 years. Intermediate Term: Invest in bonds with maturities between 5 and 12 years. Long Term: Invest in bonds with maturities greater than 12 Years. The average maturity of the fund you are investing in is very important, as the longer the average maturity the more sensitive the fund will be to changes in interest rates, and the more volatile your returns will be. It is also important to keep in mind that an intermediate bond fund with an average maturity of 6 years, will be significantly less volatile when interest rates change, than an intermediate municipal bond fund with an average maturity of 12 years. This means it is important to look not only at the category of the fund but also the average maturity of the fund in order to make an apples to apples comparison. You can find the average maturity of the fund as well as tons of other information on Morningstar.com. Investment Grade or High Yield? While the majority of municipal bonds are investment grade, there are high yield municipal bonds and bond funds that invest in them as well. As with most other types of investments there is a tradeoff between risk and reward. High Yield Municipal Bond Funds can provide a substantially higher yield than investment grade municipal bond funds, however they come with more risk as well. This means that investors in high yield municipal bond funds should be willing to accept much higher volatility in both the share price of the fund and the income stream that it provides. Are Municipal Bond Fund’s Right For You? Those considering an investment in a municipal bond fund should start with figuring out their taxable equivalent yield. (If you don’t know yours, then use our municipal bond calculator to find out.) Once you know that you can make an informed decision as to whether you will earn a higher return from a tax free state or national municipal bond fund or a taxable bond fund of a similar credit quality and average maturity (which is generally going to provide higher before tax returns) is going to be better for you. Fore more information on bond funds visit the bond mutual fund and bond ETF pages here at Learn Bonds.